"Tampa Bay Snowbirder - Come Discover the Fun, the Food and the Values"
LARGO, FLORIDA - Special Places to Discover and Enjoy! 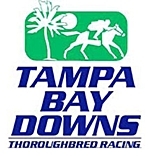 Tampa Bay Downs is the only Thoroughbred race track on the West Coast of Florida, and is known as one of America's oldest and most well-maintained racetracks. Opens Dec - Mar Post tome 12:25. For more than 30 years, the Oldsmar Flea Market has been a shopper’s Mecca on 20 sprawling acres at the corner of Hillsborough Avenue and Race Track Road. With more than 450 vendors selling every possible item you can imagine, you could browse all day and still not see everything the Oldsmar Flea Market has to offer. Sat & Sun 9am-5pm. You have arrived at Florida’s Home of Railroad History. The Museum offers one of the most unique museum experiences in the world. Here you "Ride the Exhibits!" The Museum is open every Saturday and Sunday from 10 AM to 4 PM, year-round. Hour and a half excursions on historic rail equipment depart from the Parrish Train Station at 11 AM and 2 PM. Tickets $10-$14, to $16 for special events. The Jolly Trolley is the perfect alternative for your transportation needs from Clearwater Beach to Tarpon Springs. Our Coastal Route runs on Friday, Saturday and Sunday between Clearwater Beach and Downtown Clearwater, Dunedin, Palm Harbor and Tarpon Springs. We want to welcome you aboard Clearwater Jolly Trolley! We recommend purchasing a pass which gives you unlimited rides, including all connections for the day. Passes are inter-changeable on both the Jolly Trolley and the PSTA. Reduced rates for Seniors and disabled. Each spring, the Florida Strawberry Festival® rolls out the red carpet to welcome visitors from throughout the Sunshine State and the world. Guests come from near and far to enjoy exhibits of agriculture, commerce, industry, livestock, fine arts, horticulture, and crafts. The fabric of American life is woven into the Festival through social events, contests, youth developmental programs, top-name entertain-ment, and parades with glorious floats and high-stepping marching bands. Founded in 1956, Parkesdale Farm Market is the largest family-operated Strawberry & Citrus Market in Florida. Our strawberry farm harvests more than 3 million pounds of strawberries every year! 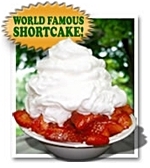 Every winter, people flock to Parkesdale Farm Market from across the United States, even as far as Europe, just for a bowl of our World Famous Strawberry Shortcake! Served fresh from the fields, sweet sliced berries sit atop a bed of shortcake with a healthy dollop of whipped cream. Available Jan through mid-April.